Your computer systems are arguably the most valuable assets of your organization. Stored within the confines of your data center, a collection of servers and hard drives contains a myriad of mission critical business data and confidential proprietary and intellectual property information. Needless to say, preservation of these IT assets is a high priority. 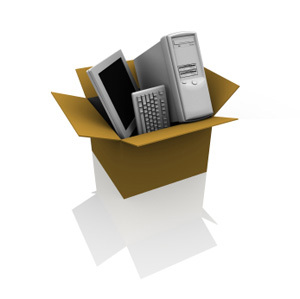 Unfortunately, during relocation, electronic equipment can easily be compromised if not properly handled and transported by experts with knowledge of information technology systems. And let’s face it — if your computer infrastructure is not in place, your organization can’t function properly. We consider your IT staff to be an important and integral partner in the planning process as they are intimately familiar with the intricacies of your organization’s databases and systems. In short, you can rest assured that the people who support your IT infrastructure are equally supported by Michigan Office Movers throughout the relocation process. Whether you’re a small private business or a large corporate enterprise within Southern Michigan, we’ll make sure that the office equipment supporting your information technology systems are packed, transported, and reconnected in the most efficient and secure manner. For more information about our IT equipment and data center move services please contact us by phone or fill in the form on the page.